Observation - what is this? - UK and Ireland. 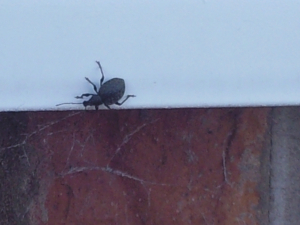 Description: Beetle about 1cm long. I've had three of these in my kitchen over the last three weeks. What are they? Beetle about 1cm long. I've had three of these in my kitchen over the last three weeks. What are they?